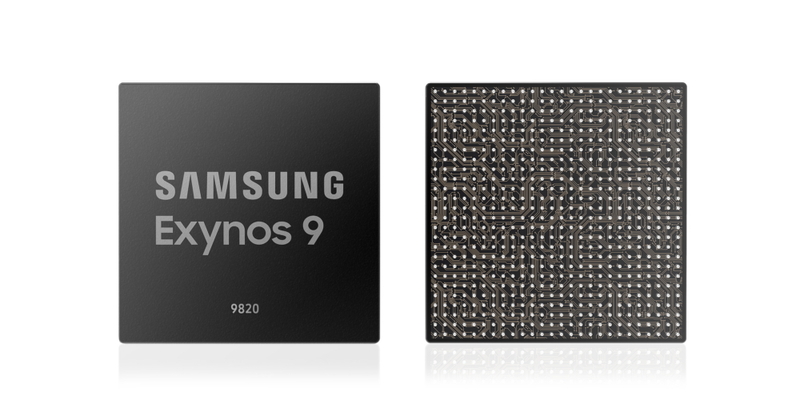 Samsung today unveiled the Exynos 9820. Its the company’s next flagship processor which supports on-device artificial intelligence processing. As reports had suggested, it comes with a separate neural processing unit which will handle all AI-related tasks independent of the main processor. The company’s latest flagship chip features a fourth-generation custom processor. There’s also an LTE Advanced Pro modem capable of speeds of up to 2Gbps. The neural processing unit will allow for more powerful augmented reality and virtual reality experiences on the device. The separate neural processing unit on the Exynos 9820 performs AI tasks nearly seven times faster than its predecessor. It allows AI processing to be carried out on the device itself. There’s thus no need to send the task to a server. This not only results in improved performance but also better security of personal information. It will enable new experiences such as instantly adjusting camera settings for a shot based on the surroundings. Based on Samsung’s 8nm LPP FinFET process, the CPU has two custom cores to do the heavy lifting. The two Cortex-A75 and four Cortex-A55 cores are for optimal performance and greater efficiency, respectively. Samsung says that the Exynos 9820 delivers 20 percent in single core and 15 percent improvement in multi core performance. There’s also a 40 percent gain in power efficiency. The graphics are handled by the Mali-G76 MP12 GPU. As a result, it delivers a 40 percent improvement in performance and 35 percent power enhancement. The image signal processor of Samsung’s new flagship chip supports up to five sensors including an IR sensor. This will allow for flexible multi-camera solutions. It is capable of powering 16-megapixel dual camera setups and up to 22 megapixel front and rear cameras. There’s even support for decoding 8K videos at 30fps and 4K videos at 150fps. Furthermore, the Exynos 9820 doesn’t come with a 5G modem. This further supports the belief that there’s going to be a separate 5G variant of the Galaxy S10 which may use a Qualcomm processor. The LTE Advanced Pro modem in the new chip can hit speeds of 2.0Gbps downlink with 8x carrier aggregation and 316Mbps uplink. The chip supports the UFS 3.0 storage standard. It offers double the memory bandwidth over UFS 2.1. Samsung says that the Exynos 9820 will enter mass production by the end of this year. If history is any indication, the Galaxy S10 will be the first device to be powered by this processor. Sad to hear 8nm not 7nm. Does that mean the next Snapdragon 8150 is 8nm as well? Does it really mean that in general the new chooser is still playing catch up to the apple and Kirin that is available now? I thought it will be on 7nm process.